He Was a Man Who Took What He Wanted. To escape her cruel stepfather, seamstress Alexandra Cogsworth envisioned sailing far from England ... though not as a captive aboard a pirate's ship. Pirate Captain Nathaniel Kent's strategy for exacting revenge on his cold-hearted father involved taking a valuable hostage ... not a seamstress he mistakenly thinks is his half sister. Yet fate has designs of its own, landing them both on board the Royal Vengeance. At sea, Nathaniel intercepts and plunders his father's ships, all the while tormented by his illicit hunger for the tempting prisoner he thinks is his blood relation. 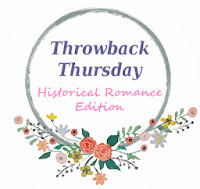 And although Alexandra wants no part in this terrifying voyage, to reveal her true identity to the handsome, blue-eyed Nathaniel would invite danger. Not only would she become worthless cargo, but the revelation would surely unleash what she and Nathaniel have been fiercely battling -- a rising undercurrent of impossible desire that could sweep them away for good. I'm currently reading A Matter of Grave Concern by Brenda Novak , which will be released this October, and I'm enjoying the story so far. 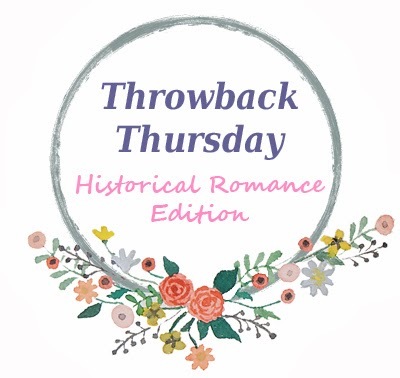 For this week's TBT:HR, I decided to take a look at Brenda Novak's impressive list of work and I'm so pleased to discover that her debut novel, published in 1999, was a Regency romance. Since then, she has published both contemporary and historical stories in various sub-genres. Love your pick for the week. This is such a great story!! LOVED it. OMG Tin! I have A Matter of Grave Concern on my review list too. Haven't gotten to it but am glad you're enjoying it. As for Of Noble Birth, it sounds intriguing. But I love looking at how different the two covers are. They evoke such a different vibe that I would have though it to be the same story.